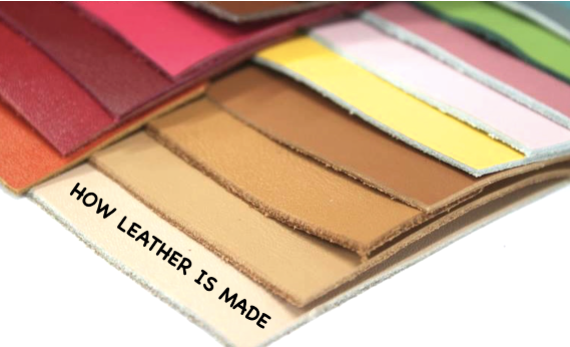 ​ Leather is a durable and flexible material created by tanning animal rawhides. It's a fibrous substance comprising a closely interwoven system of fibres that have natural elasticity. Hides and skins are brought to the tannery in a cured condition to prevent them from putrefaction. At the tannery skins are properly washed and cleaned. The next operations are fleshing, soaking, depilation. Fleshing consists in removing excess of flash and fat on the underside of the hide. The purpose of the soaking process is soften the hides and remove the salt dung and dirt adhering to them. Depilation is a removal of the hair and epidermis. It may be done by liming or by using sodium sulphide and other material of sulphide group when the preliminary treatment is provided the skins are ready for a conventional tanning process. Tanning is the series of processes by which the natural skins are converted into leather. The purpose of tanning process is to bring about changes of the skin properties preserving the hides from putrefaction. The tanning liquid is made with tanning extract from vegetable material or tannin may be extracted from minerals. There are several methods of tanning, each producing a special type of leather with special characteristics: vegetable tanning, chrome tanning, oil tanning, alum tanning, combination tanning. Finishing operations are of great importance in transmitting a harsh stiff material into the beautiful finished leather we recognise in our product. The most important finishing processes are bleaching, stuffing, colouring, staking, fat-liquoring, sammying.